What's the Best Way to Learn Web Design? Sometimes people ask me how I learned web design so I could make my own websites. After I finish laughing (due to the fact I am far from being a designer), I quickly remind them that you do not need a certificate or degree in web design to create a website today. I'm a self-taught Internet Marketer who has learned just enough to setup and manage my own site. In fact, most people who have websites today create them themselves. No doubt you can too. However, if you still want to learn about web design, take this course by Victor Bastos. It's one of the most highly rated design courses on Udemy. Why Bother Learning Design When There's WordPress? Now that WordPress is so popular, many people forgo any kind of web design training because it's just not as necessary as it once was. You just pick a theme and BOOM, you've got a website! However, WordPress themes are driven by CSS and understanding how it works will help you greatly when it comes to manipulating your existing theme. I use CSS a lot to float and position elements on my pages so having a basic understanding has helped me a lot. I don't agree with the "rely on WordPress" philosophy that many go by today. Most people eventually discover that if they want full control over their site's design and theme, they have to learn some of the fundamentals. WordPress was not around when I created this site, so I was forced to learn more about coding. I'm actually glad it happened that way. If you are one who loves to learn by video, Lynda.com, is the site for you. There are software tutorials for every major design program out there. There's a membership fee, but anyone who has used them will tell you that it's well worth it. I used to be hesitant about recommending this website because their presentation was a bit too technical for the average newbie. However, they've revamped their site a lot and it's a lot friendlier now. This is definitely the place to go if you're a "learn the fundamentals" type of person. This is another great fundamentals website. It's a bit more friendly than W3Schools and the organization is better in my opinion. If you're the kind of person who just wants to generate a quick design on the fly for your website, and you don't necessarily care about learning code, this is your tool. It works with WordPress, Blogger, static sites like this and even Joomla. A lot of designers actually use this software for inspiration and to help generate ideas for their clients. It's a pretty neat tool. Watch my video review on Artisteer. 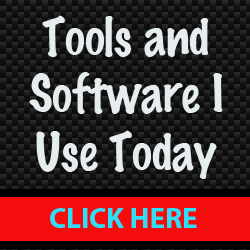 This is the software I used to create this site. Dreamweaver is for static HTML/CSS websites like this. 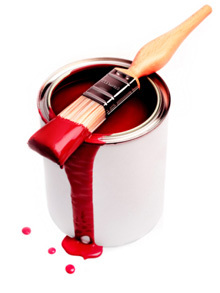 Even though you could use it to develop a blog theme, it's not typically used for blogs. DW has built-in templates but they are very simple and bare. They are nothing like you'll get with Artisteer or WordPress. Thanks to my knowledge of CSS and using Dreamweaver, I was able to jazz it up to what you see now. There is definitely a learning curve with Dreamweaver and many will say it is not for beginners. It also assumes you plan to learn CSS. I absolutely love DW, but understand it is not for everyone. I would not recommend Dreamweaver today unless you really just wanted to learn more about code. Most people just use WordPress and it's easier to learn than Dreamweaver. Watch my video tutorial that shows you how to setup a Dreamweaver template. Quite honestly, I learned a lot of what I know by either viewing the source code (right-click mouse and select view source) of other sites or downloading free templates and editing them. The advantage of this method is it's an easier way to learn. The disadvantage is you don't necessarily learn all the fundamentals... at least not in the right order. This can cause problems when it comes to troubleshooting your design. Nevertheless, this is how I learned. I spent many days downloading free templates from CSSTemplates.org and editing away until I learned how to make the templates do what I want. I also bought a few books. I even talk about a few of them in the video below, but I got most of my training online. Over the years I've learned that a lot of people prefer to learn this way. That's the primary reason I created my CSS Templates. Some people don't necessarily want to learn the fundamentals. They just want templates they can edit and be on their way. However, with my templates I do offer explanations in the stylesheet so you can at least understand more about CSS. You may be wondering if you should seek some kind of formal web design training. Well, I think that depends on your goal. If you want to become a professional web designer then you should think about formal training and maybe even obtaining a certificate or degree. 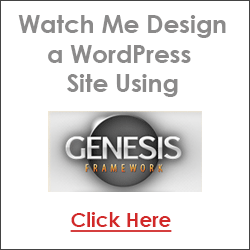 Or perhaps you want to get into WordPress theme development. Then you will want to take some time to learn PHP, which is the language used to build WordPress themes. However, some people just want to publish their website as quickly as possible. They aren't interested in getting involved in code and learning fundamentals. I	would	even bet that's the majority of people today. So if that describes you, then you'll probably do fine with WordPress. Read more web design articles.